The perfect time to go to the beach, bike around town, and enjoy the outdoors. One of our favorite summer activities to do on the weekend is taking Sunday drives up the canyon. The Provo canyon is soooooo pretty this time of year--every time we drive through it I'm always in awe of the mountains and foliage everywhere! If and when we move out of Utah, I'll definitely miss having these mountains in my backyard. 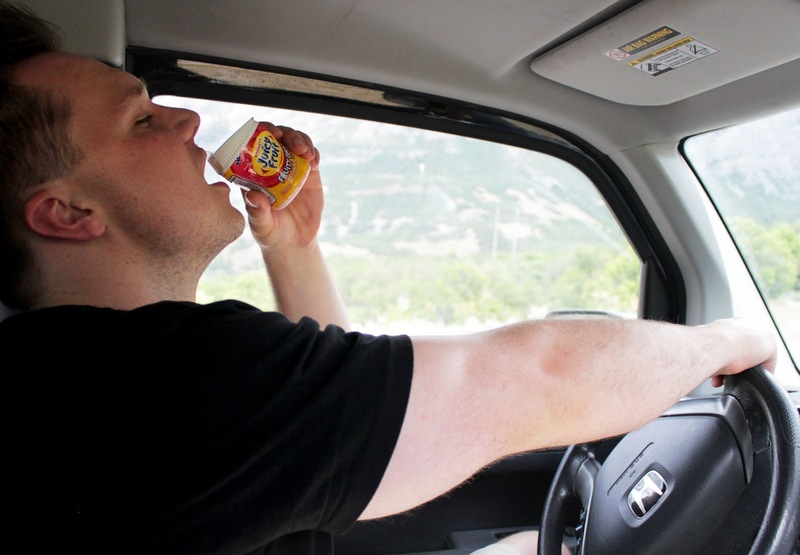 A Sunday drive (or any drive really) isn't complete without some chewing gum to enjoy! 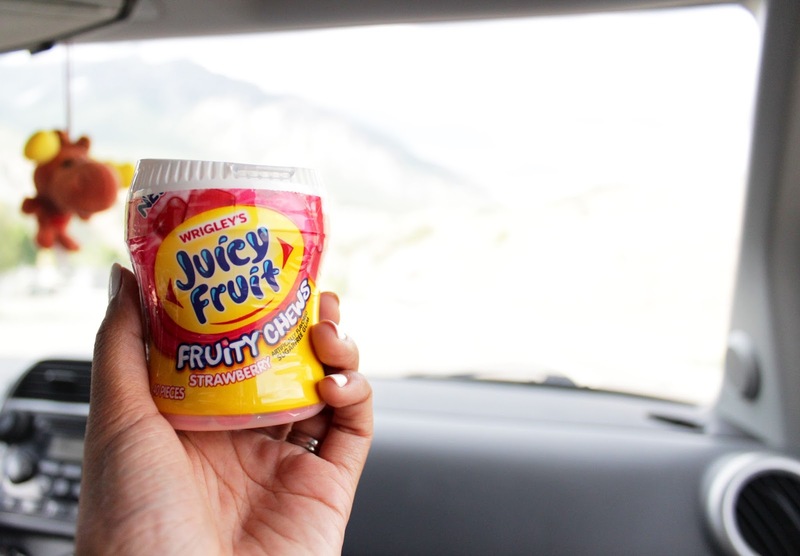 Juicy Fruit is one of our favorite go-to gums for our car drives--there's just something about its fruitiness that makes it so yummy to chew on! 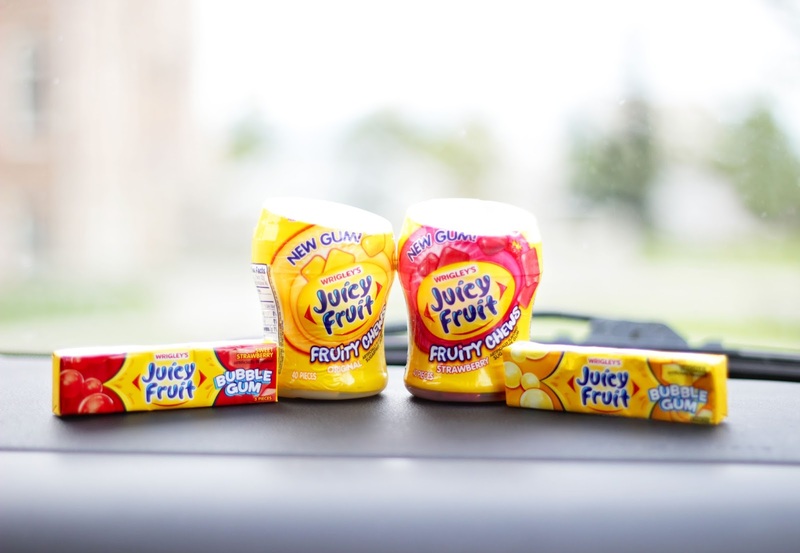 Juicy Fruit and I go way back to my childhood (we're basically BFFs). I'd always beg my mom to buy me a pack whenever we went to the grocery store because I loved the taste so much! 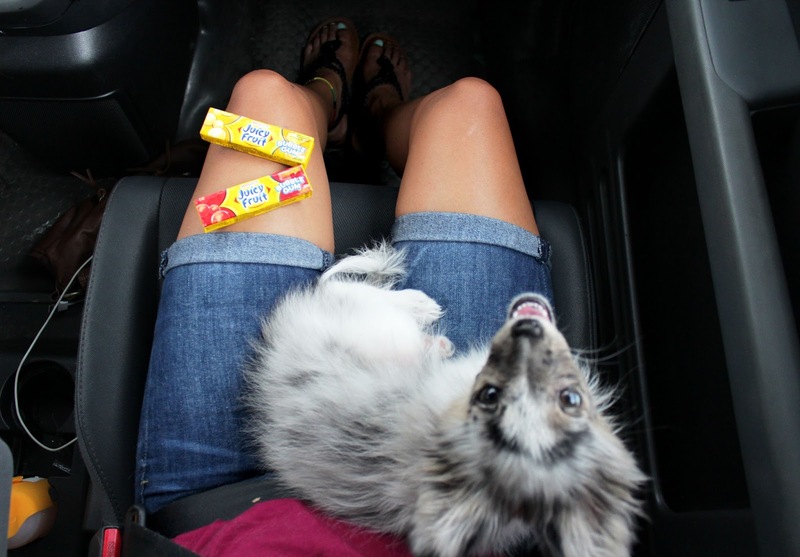 It definitely makes me nostalgic whenever chew on some and I'm so happy to be making new summer memories with my little family that includes Juicy Fruit! 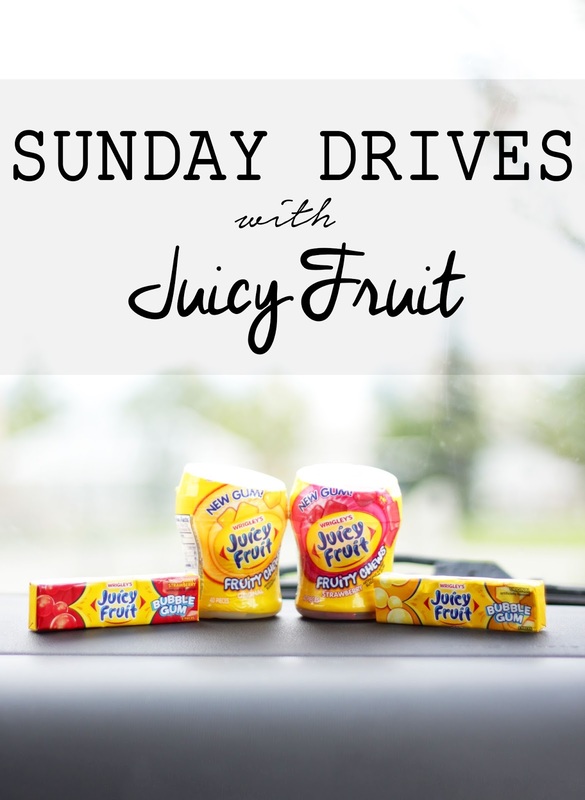 Juicy Fruit has two new varieties that are being introduced this month! Their Fruity Chews are a whole new flavorful gum experience. 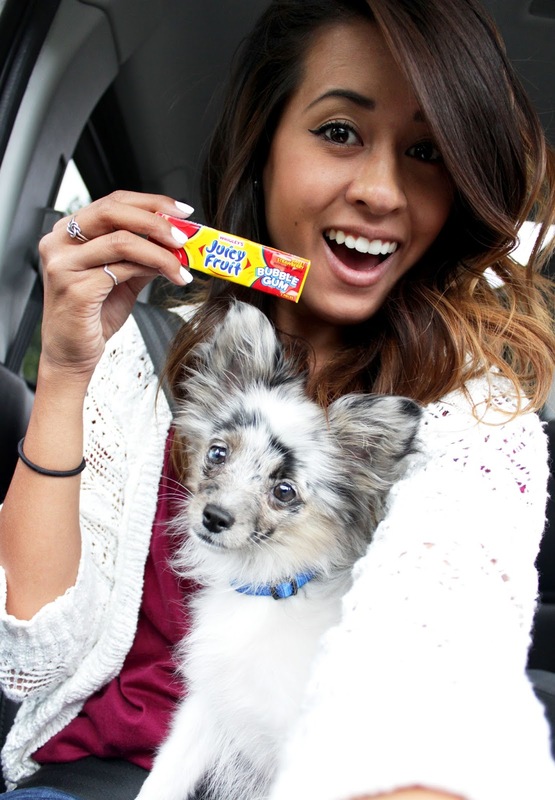 At first bite Juicy Fruit Fruity Chews deliver a vibrant burst of sweet, fruity flavor for instant fun! The new sugar-free soft chew gum format is packaged in a bottle to make sharing easy and fun for the entire family. They are available in two flavors: Original and Strawberry. Everyone knows that the funnest gum to chew is bubble gum! Juicy Fruit now has a Bubble Gum line that offers the great bubble blowing experience that kids and adults love. They're bursting with flavor and you won't be able to resist blowing some bubbles when you're chewing it! They also come in Original and Strawberry as well. Even Samson is excited for these new varieties of Juicy Fruit! I got my Juicy Fruit gum from my neighborhood Walmart. 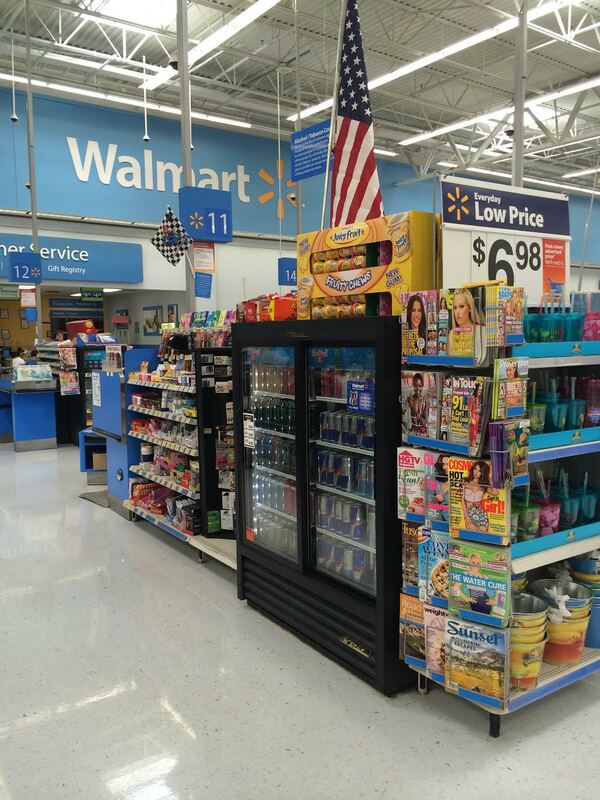 They're usually located by the cash registers--my Walmart had this nifty little display to promote the Fruity Chews! To celebrate the launch of these new varieties, Walmart is holding Juicy Fruit demos at their stores across the country! Make sure to drop by your local Walmart to check out these demos and get yourself your own packs and bottles of Juicy Fruit to celebrate summer with! 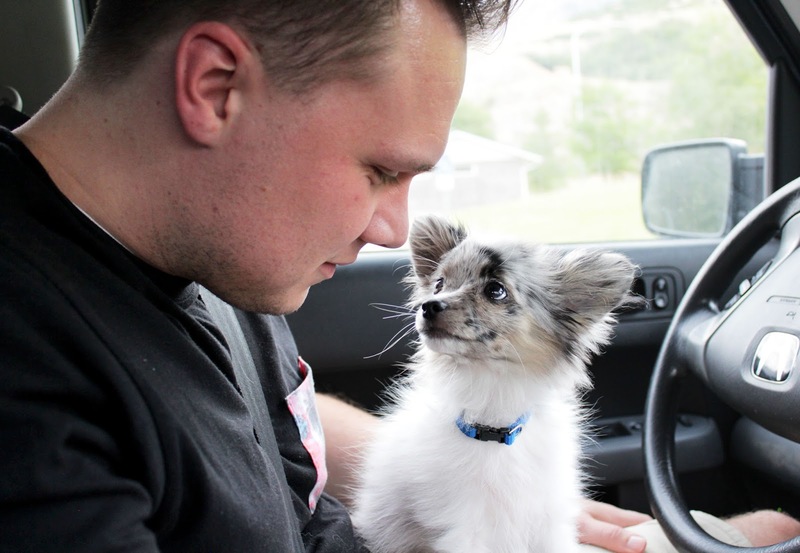 Seriously, how cute are my two favorite boys? Show your #JuicyFruitFunSide this summer! 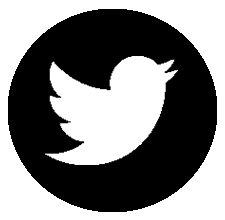 Thanks to #CollectiveBias for this opportunity to share my love of Juicy Fruit to world. These pictures are too cute. I am so into mints when it comes to gums but I will try this juicy fruit.